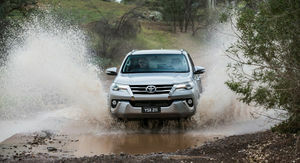 Despite already offering the Rav4, Kluger, Prado, Landcruiser and FJ Cruiser SUVs, Toyota has managed to squeeze one more into the mix: the HiLux-based Toyota Fortuner, on sale in Australia from next week. 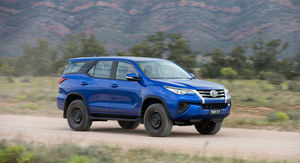 Launching with the option of three variants, the Fortuner will take on the recently launched Ford Everest and established players like the Isuzu MU-X, Holden Colorado 7 and the Mitsubishi Challenger. 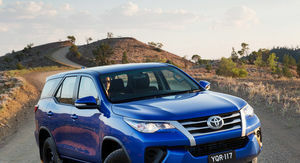 The Toyota Fortuner boasts impressive off-road credentials, along with the benefit of thousands of kilometres of local engineering and testing, with Toyota’s local engineering team involved in a great deal of design and testing for the Fortuner. 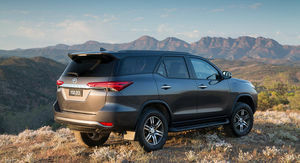 The seven-seat Fortuner launches in Australia with three specifications levels: the entry-level GX from $47,990, the mid-range GXL from $52,990 and the flagship Crusade from $59,990. All models will offer switchable four-wheel drive and come with a six-speed manual transmission, along with the option of a six-speed automatic gearbox for an additional $2000. 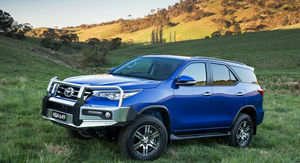 While Toyota hopes to eventually sell 17,000 units per year, the Australian arm has only been allocated 6000 units for 2016, which means it could become a car with a significant waiting list. 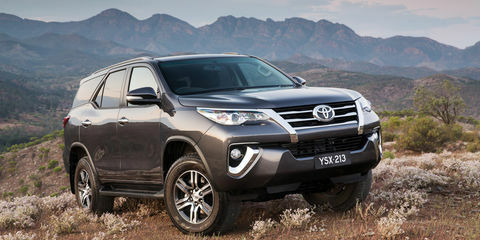 According to Toyota, the Fortuner will sit alongside the Kluger and beneath the Prado. 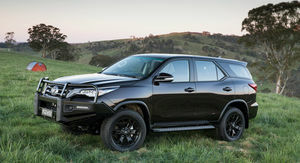 Toyota will market it as a diesel alternative to the Kluger, with the hope it will attract customers that would have otherwise gone elsewhere. 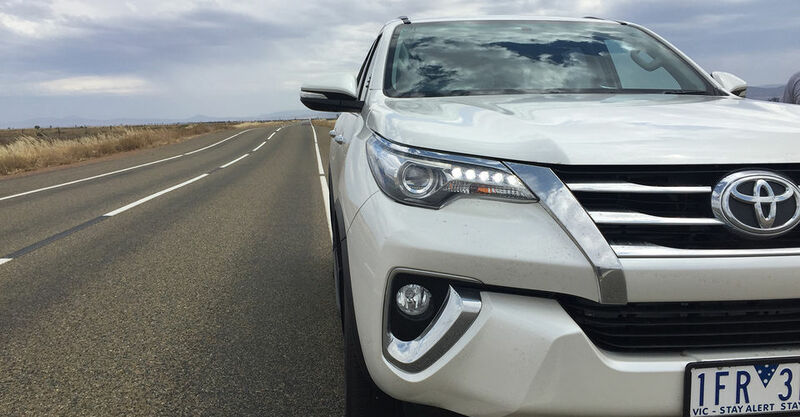 While it may look big from the outside, the Fortuner is actually shorter and narrower than both the Prado and Kluger. Despite the exterior size deficit, the cargo capacity wins out on volume and versatility. 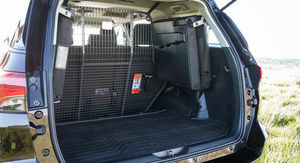 With the third row in place, there is 200 litres of cargo volume on offer (to the roof). The rear door is manually operated on GX and GXL variants, while the top-spec Crusade gets a motorised rear door. That space increases to 716L with the third row folded away, and opens up to an impressive 1080L with the second row folded and tumbled out of the way. 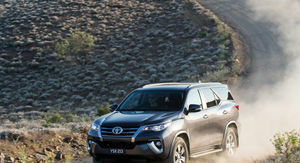 To put that into perspective, Kluger offers 529L of volume, while Prado has 742L available. 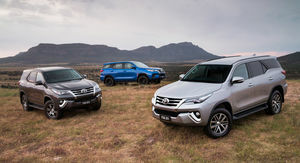 The Fortuner trumps both for towing capacity, with 3000kg on offer for the automatic and 2800kg for the manual — more than the 2000kg and 2500kg for Kluger and Prado respectively. 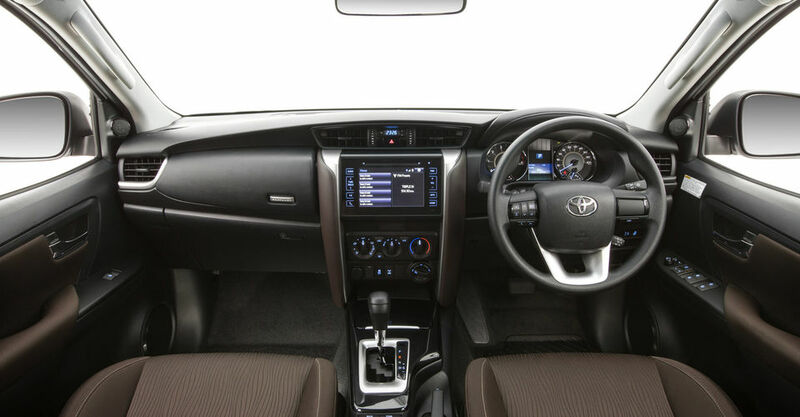 Inside the cabin, Toyota has gone to great lengths to differentiate the Fortuner from the HiLux donor vehicle. 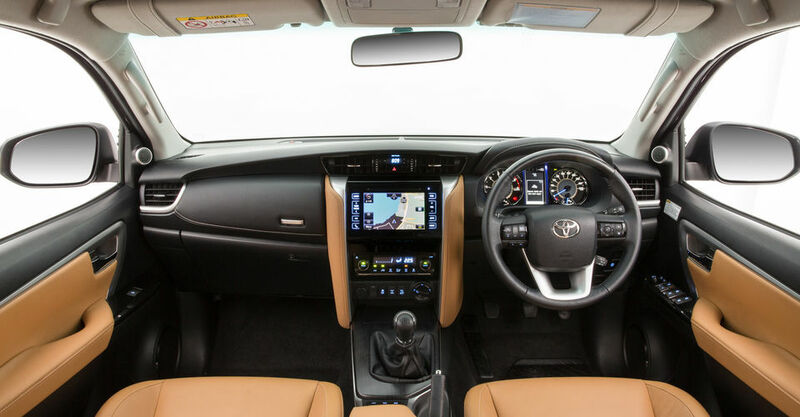 Despite only sharing forward of the B-pillar with the HiLux, the interior and rear of the car is unique to the Fortuner. Handy features like an air-conditioned drink compartment and small grab handles in the B-pillar for little passengers make the Fortuner a versatile package. That versatility extends to air conditioning vents for all three rows, 4kg bag hooks on the back of both front seats and three 12V outlets (in addition to a 100W, 220V power socket for the Crusade model). Leg and headroom in the second row is surprisingly good. 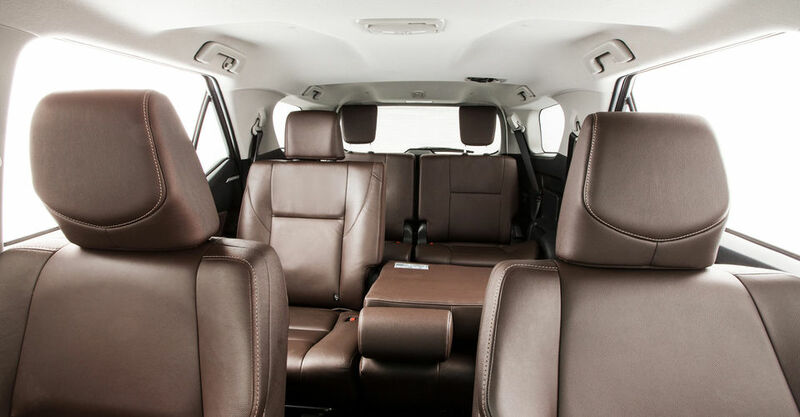 We managed to fit three adults abreast in the back with a squeeze, but two with absolute comfort. The third row is really only for smaller kids than larger adults. 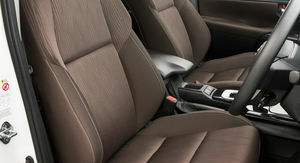 Access to the third row comes courtesy of the 60:40 split-folding second row with centre armrest and cup holders. 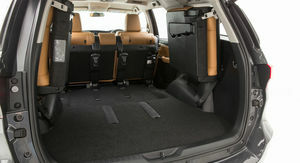 The second row contains two ISOFIX points and three top-tether hooks, along with a roof mounted seat belt for the centre passenger. Powered exclusively by a 2.8-litre four-cylinder turbocharged diesel engine, the Fortuner produces 130kW of power and 450Nm of torque (when mated to a six-speed automatic gearbox, or 420Nm with the six-speed manual), consuming 8.6L/100km and 7.8L/100km respectively for the automatic and manual. We set off from Port Augusta for an incredible journey through the Flinders Ranges and back through to Melbourne, getting time behind the wheel of each variant along the way in addition to some fairly serious four-wheel drive tracks. 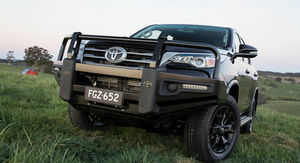 The Fortuner’s engineering was performed all over the world, including Toyota’s test facilities in Anglesea, Victoria. 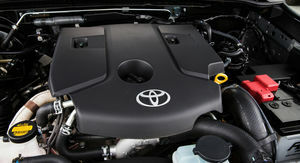 Toyota’s local technical engineering centre also developed the wiring looms, elements of the body and was heavily involved in assisting with ride and handling. 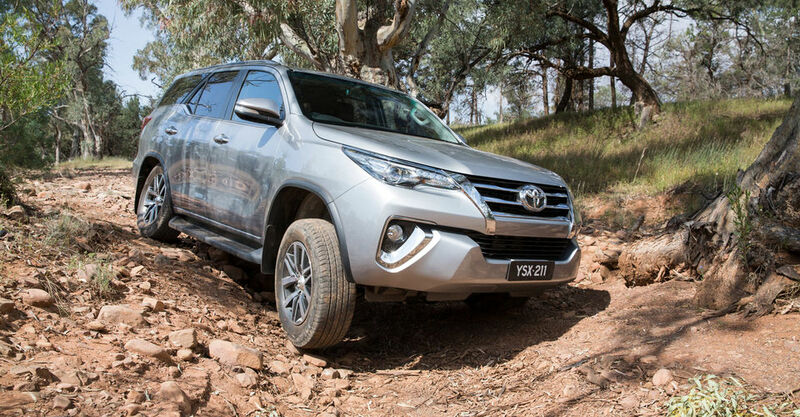 We had the opportunity to test the Fortuner across a challenging four-wheel drive course, over hundreds of kilometres of rutted and corrugated dirt roads and over 1000km of varying country highway roads, so this is one of the most comprehensive reviews you will read of the Fortuner. Let’s start with arguably the most important aspect: the Fortuner’s off-road ability. 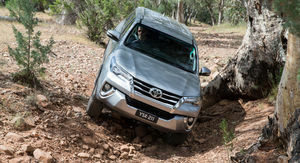 Built on the HiLux’s body-on-frame underpinning, the Fortuner was engineered with the same four-wheel drive equipment, but with a coil-sprung suspension setup at the rear instead of leaf springs. Under the Fortuner’s shell is a dual-range transmission with switchable four-wheel drive. The driver can switch between a two- and four-wheel drive high-range mode and a four-wheel drive low-range mode. Additionally, a manually lockable rear differential and hill-descent control helps expand the four-wheel drive ability. The first portion of the off-road course was covered with large loose rocks and featured both flat and inclined terrain. Over the flat portion of the rock-covered terrain, the chassis offered excellent communication through the wheel and seat of the pants, while the huge 279mm ground clearance helped ensure all rocks were missed with ease. As the terrain inclined, the Fortuner remained communicative, but it was the hydraulic steering that let it down on a couple of occasions. The steering would load up and become highly resistive for a short period (under one second). It didn’t affect driving performance, but was a little frustrating. We also received a low oil-warning fault during one particular uphill section. This was resolved almost immediately as the terrain levelled out. 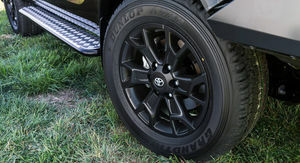 With a 30-degree approach angle and 25-degree departure angle, the Fortuner had no issues with front and rear clearance. A 700mm wading depth also positions it as one of the segment leaders in terms of water fording. 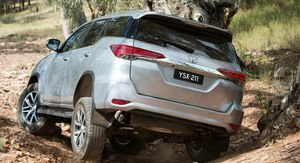 The next part of the off-road track involved uneven surfaces that caused the Fortuner to seesaw during a grade change. With one wheel off the ground, torque was easily shuffled to the other three wheels in unison with the stability control limiting wheel slip. 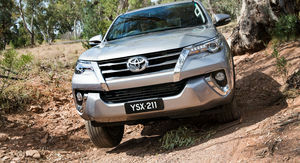 A long downhill portion of gravel gave us the chance to test Fortuner’s hill-descent control. It works well at controlling the vehicle’s speed, but we found it to be too slow with no obvious way of adjusting the descent speed accordingly. This meant overriding the system each time the terrain levelled out and the speed was too slow. The rest of the track further tested articulation and torque distribution with low-range only required for a steep, low-friction ascent. When not off the beaten track, buyers are likely to be spending most of their time on the way there. We ventured into the Flinders Ranges over a network of gravel roads, winding through gorges and across open plains. With the Fortuner in its rear-wheel drive mode, we snaked through gravel-covered switchbacks and found the car to be quite settled. 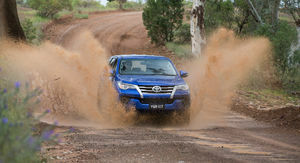 Even during high throttle loads, the Fortuner remains controllable and predictable. When the rear-end does slip, the stability control does a good job of reining it in and keeping the car under control. The steering’s vague communication about centre improves during cornering as the rack loads up. Under load there is more communication and weight, which helps with placing the car on the road. The ride is on the firmer side, but soaks up pot holes and undulations with aplomb. Unlike the HiLux, which can bounce on uneven surfaces unloaded, the Fortuner’s five-link coil sprung rear absorbs the initial bump softly and then limits reverberation. But, it becomes unstuck over rutted roads with continuous corrugations. As the corrugation frequency increases, there is considerable booming in the cabin. The booming is a low-frequency thrum that becomes more evident with greater speed. 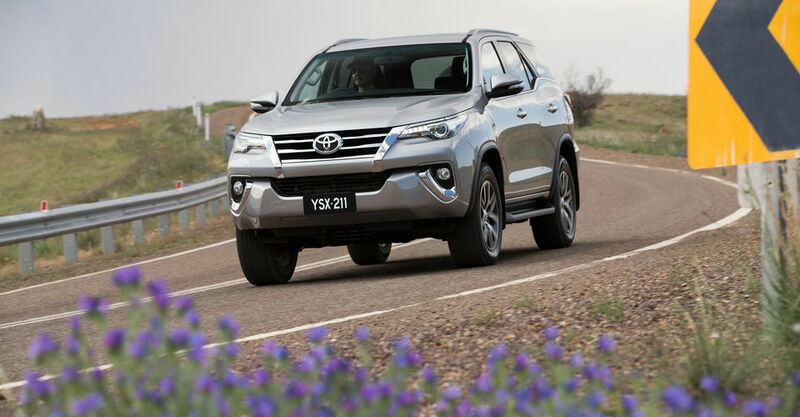 On the open road and through the city, some people may find the Fortuner’s ride a little on the firm side. Much like on gravel roads, bigger thumps are adequately absorbed, but smaller imperfections impact the ride and upset the feel in the cabin at times. The six-speed automatic is a slick-shifting gearbox (that is strangely offered with steering wheel mounted paddle shifters) that makes full use of the engine’s 450Nm of torque. In-gear acceleration is great and it can easily be coaxed into dropping down cogs for overtaking. At times the gearbox would hunt at highway speeds. We found that with the cruise control set at 110km/h, the gearbox would often drop to fifth gear at the slightest hint of an incline. The six-speed manual on the other hand offers a light clutch and a long lever through between gears. With three passengers and a boot full of luggage, we found the manual to be a little lethargic, despite only a 30Nm torque deficit over the automatic. But, it does come with an interesting feature called iMT. iMT blips the throttle on downshifts to allow rev matching, which makes for a smoother ride as the driver goes down through the cogs. It effectively simulates a perfect heel-toe action at each gear change. The handling isn’t sports car-esque, but it is manageable through corners. That’s partly thanks to the front and rear sway bars that help keep body roll in check. 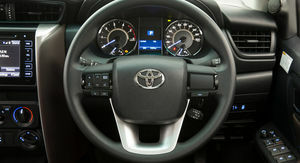 This also means that we could see the Fortuner fitted with the Prado and Landcruiser’s unique KDSS system. We spent almost 2000km behind the wheel in total and the one thing that we found most impressive was the seats. Despite stints of 800km in a day, we didn’t feel tired or sore. 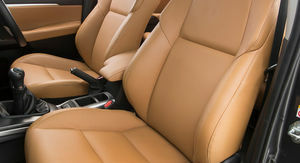 The seats offer enough side and bottom support while also catering for comfort over rough roads. Despite the low claimed fuel economy figures, we struggled to get within earshot of those numbers. With over 600km spent behind the wheel of a manual Crusade at 110km/h, the fuel consumption average (with a reset at departure) was 10.2L/100km. An automatic GXL over a shorter 200km distance read 13.1L/100km at the same speed — both almost 40 per cent more than the manufacturer’s claim. We came away from the Fortuner launch quite surprised. We weren’t expecting such a refined and complete package. 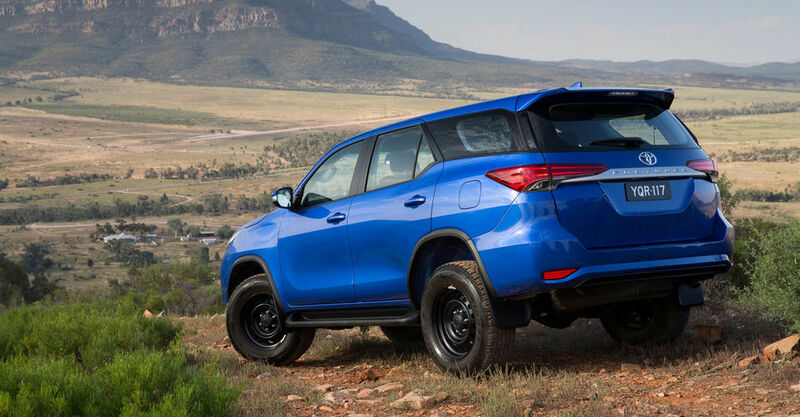 The premium elements of the vehicle help differentiate it enough from the HiLux, while the sharp pricing also makes it a cost-effective and versatile SUV proposition. The next step will be to pit it back-to-back with the Ford Everest — keep your eyes on the site for this comprehensive comparison. Click on the Photos tab to see more images of the 2016 Toyota Fortuner.